Martin Luther King Jr. Birthplace: the beginning of an American icon. A fighter for equal rights, that fight was rooted in non-violence, which earned him the Nobel Peace Prize in 1964. 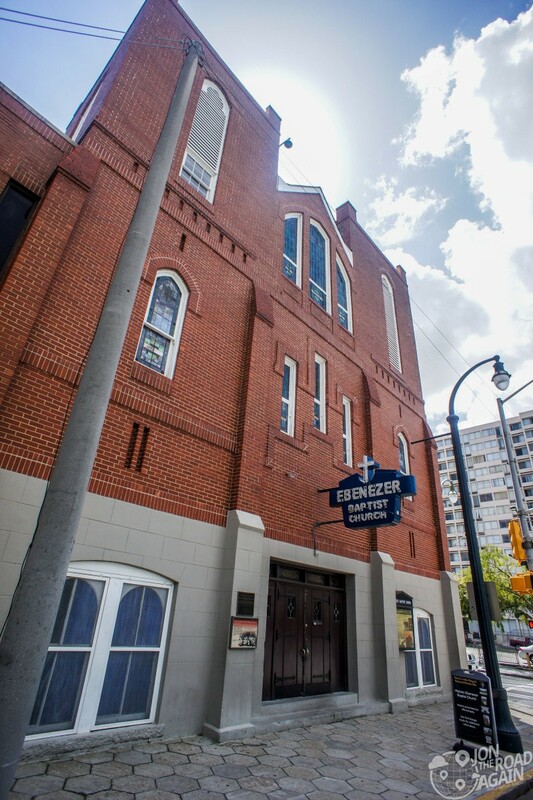 While visiting Atlanta, we decided to forgo the Coca-Cola museum (Atlanta’s #1 tourist draw) for something a little more important – the MLK Birthplace and Ebenezer Baptist Church. I was standing in the incredibly long line to enter the Coca-Cola museum when I had a crisis of conscious. “There has got to be something more important to see around here,” I complained to my wife. I went to my phone for help and found the Martin Luther King Historic Site. 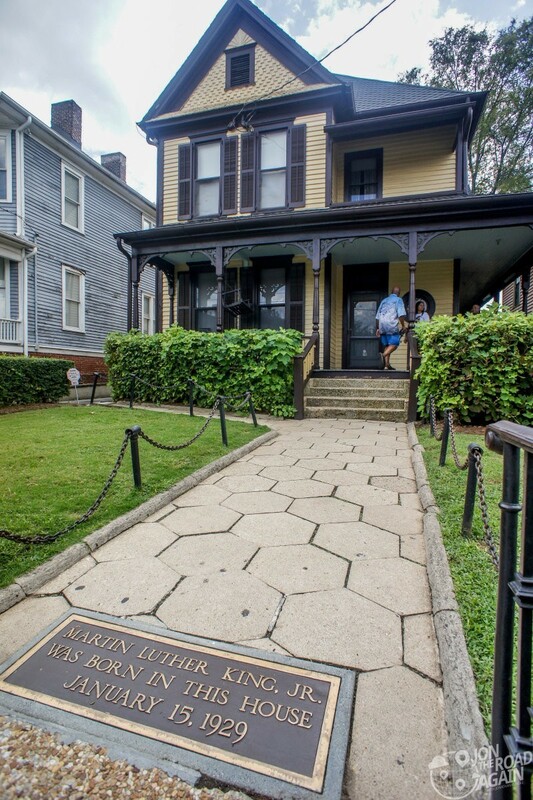 While just a short drive from downtown, The Martin Luther King, Jr. National Historic Site feels a world away. 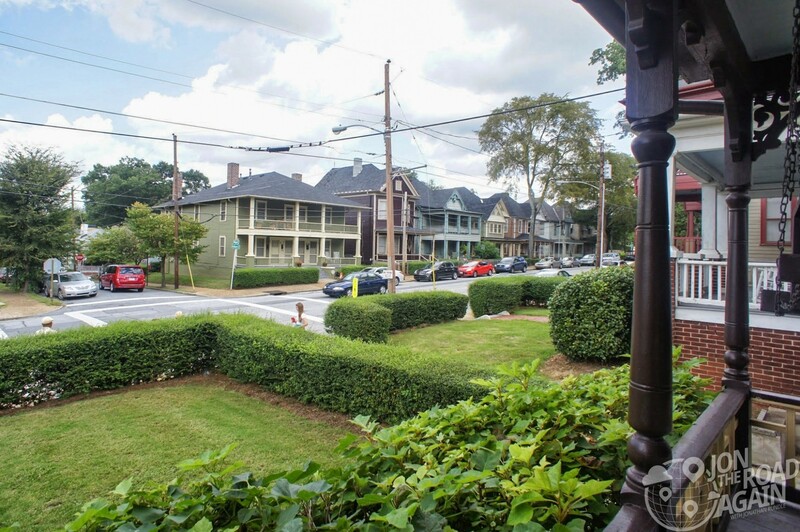 The entire block around his childhood home has been period-restored by the National Park service to the time when MLK was growing up. 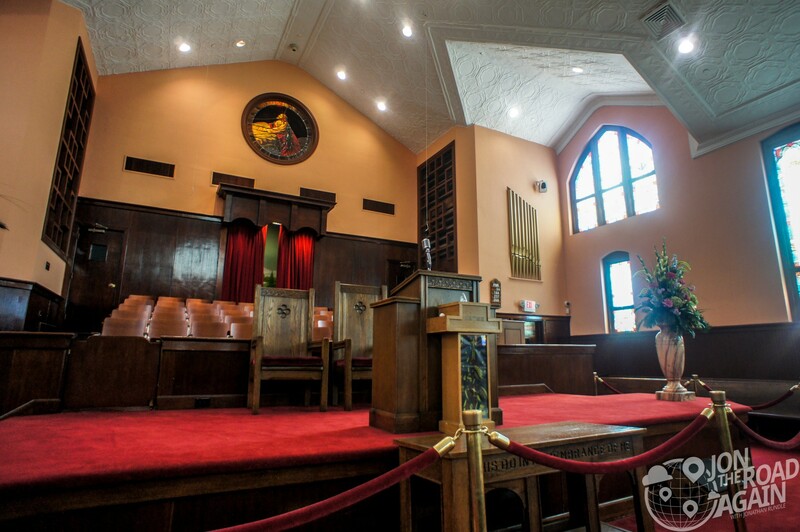 The National Historic site is a large complex, consisting of the preserved neighborhood, the King Center, the Visitor Center, Ebenezer Baptist Church and the King birth home, where he lived until he was 12. 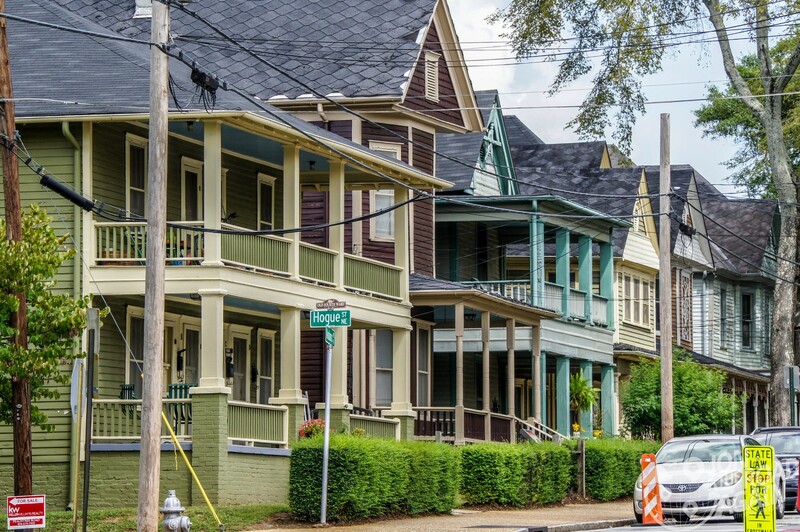 His home, like the rest of the neighborhood, is well-preserved. Tours of the home are available – but you’ve got to plan ahead for that. The tours book up quickly. We didn’t plan ahead, so we weren’t able to go inside the home. Walk up the path to the front door and turn around to see the preserved neighborhood as it mostly would have looked to young Martin. Even if you aren’t able to visit inside the Martin Luther King Jr. Birthplace home, a visit to the area is an incredibly valuable experience, especially if you’ve got young minds in tow. 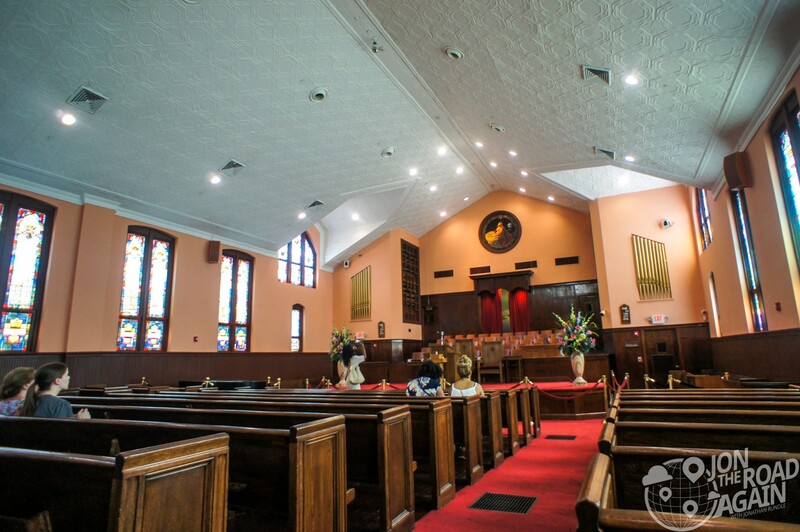 Ebenezer Baptist Church was my favorite part of the complex. This was the church where young Martin got his start. At 19, MLK was ordained as a minister and become co-pastor with his father, a man known as “Daddy” King. 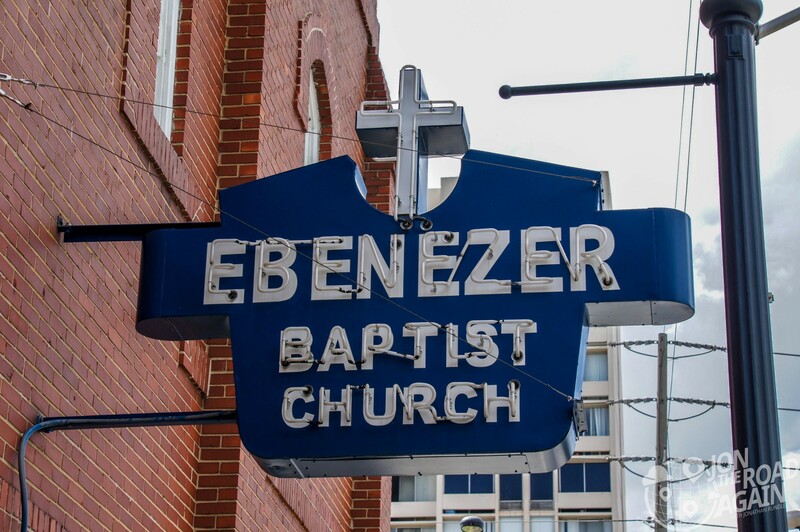 Ebenezer is the site of MLK’s funeral in 1968. 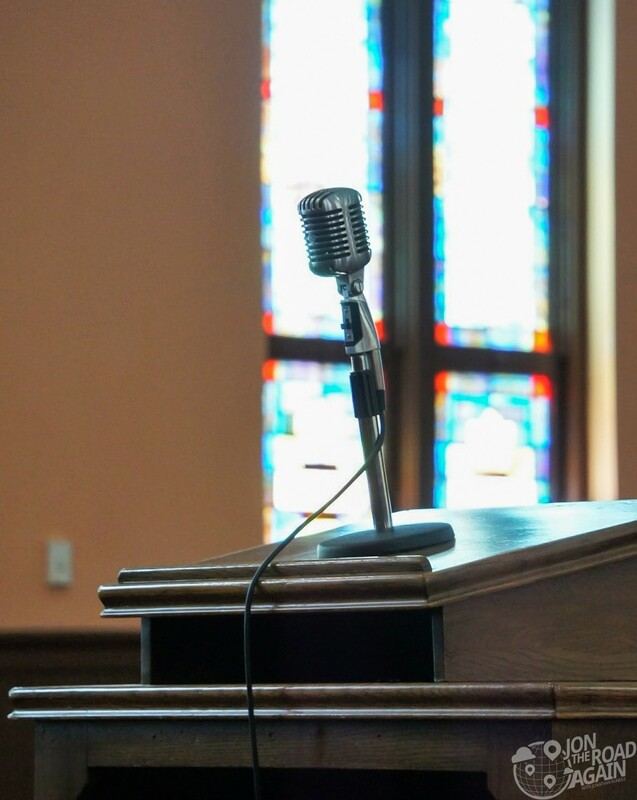 His father continued as senior pastor until 1975. Fully restored in 2001, inside the church plays audio of Dr. King’s speeches. Find a pew, sit and close your eyes. 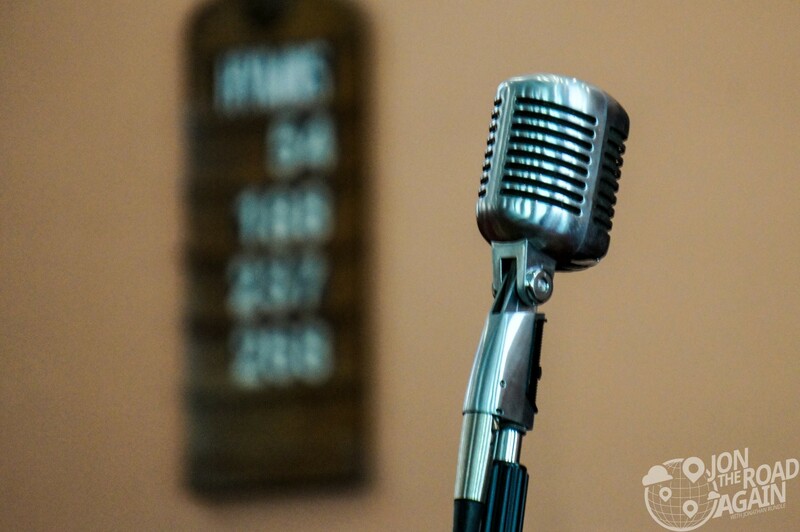 Click play below and listen to a short snippet of Dr. King’s “Guidelines for a Constructive Church” delivered here at Ebenezer in 1966. 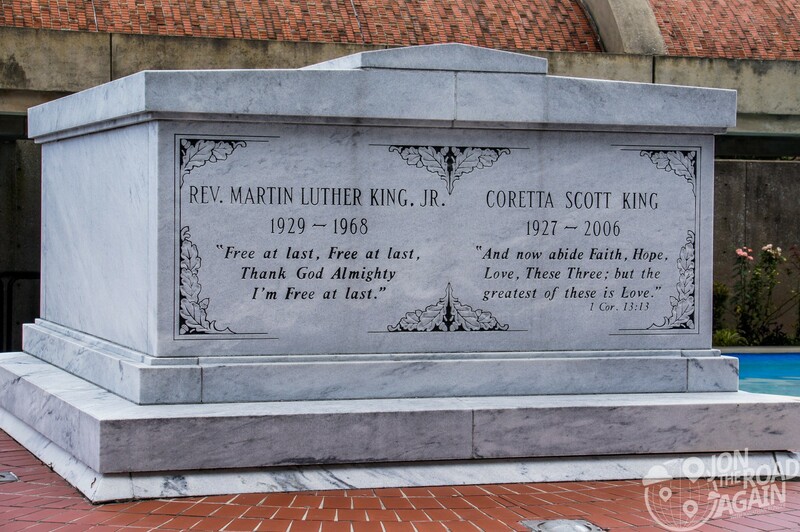 A visit to the site is not complete without viewing and paying respects to the man himself and his wife, Coretta Scott King entombed in the courtyard of the King Center. The adjacent museum does a fantastic job transporting you into the turbulent 1960s – and helping you understand what was at stake. Even if you’re someone who is not familiar with all of the important points of the Civil Rights Movement, or uneducated on the life of Martin Luther King, the museum will fill in all the details. As we all know, the MLK story ends with tragedy. 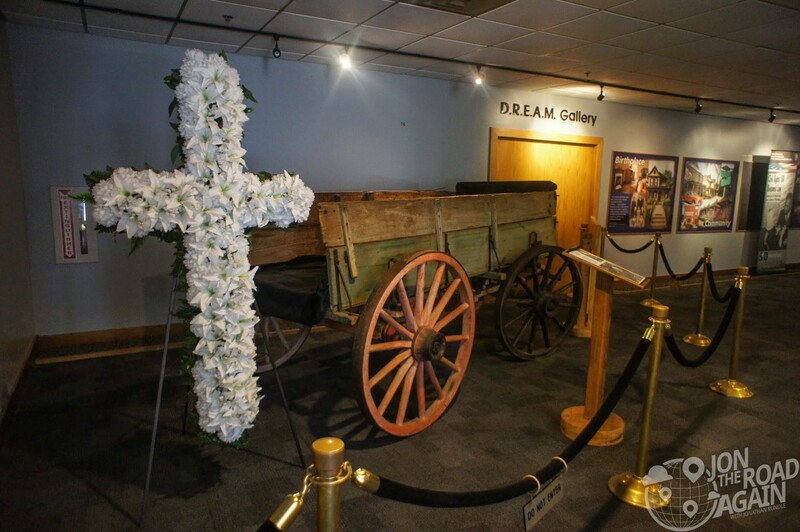 Among the artifacts presented are the horse-drawn funeral carriage and a cross-shaped flower spray which laid atop MLK’s casket at his funeral. As I mentioned before, the funeral was held where MLK got his start, Ebenezer Baptist, and was attended by dignitaries and friends such as Jessie Jackson, future congressman and civil rights leader John Lewis, Robert Kennedy and Jackie Kennedy (a notable exception being the Governor of Georgia who considered King an enemy of the country and even refused to lower the state flag to half-staff until directed to do so by federal mandate). 60,000 people crowded the streets outside to listen to the service over loudspeaker and joined the funeral procession to Southview Cemetery right after. 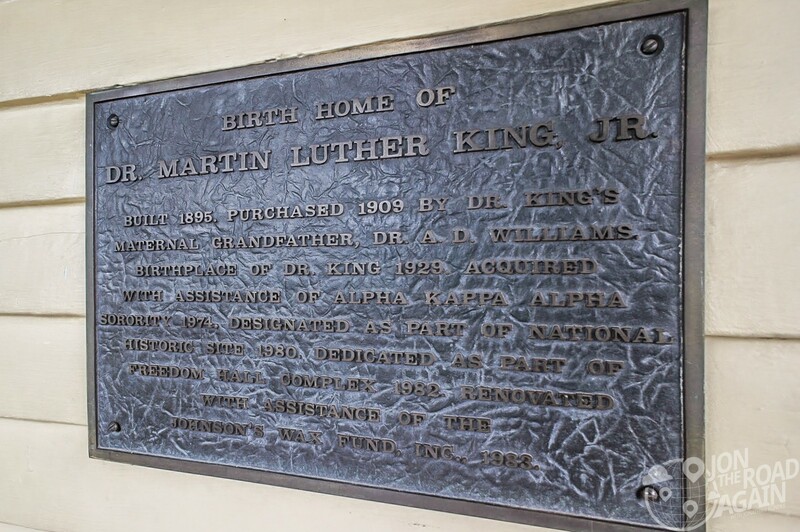 In 1982, King is transferred to his tomb at the King Center. If you hope to see inside the home, you need to join a ranger-led tour. Plan ahead! Visit their website for details on Martin Luther King Jr. Birthplace tours. Otherwise, the sites operate under normal visiting hours.